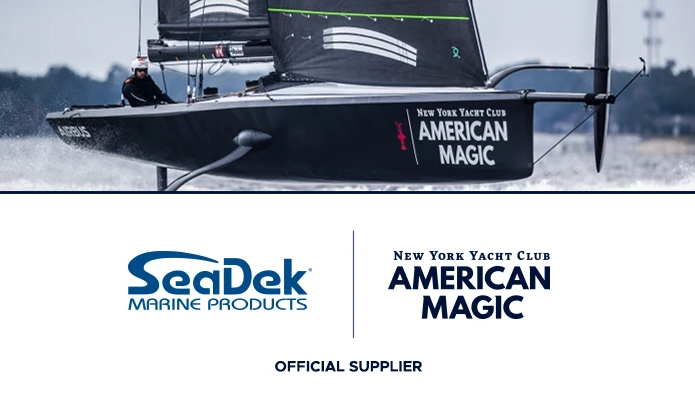 SeaDek Marine Products said it has become an official supplier to the New York Yacht Club’s American Magic team, which is a challenger in the 36 America’s Cup. SeaDek said in a statement that it has outfitted multiple American Magic support boats with its non-skid, closed-cell PE/EVA products. Its products are also being used on the team’s test boat, the AM38.